Webcam Pasadena, California: CalTech - Two views from the 9th floor of CalTech's Millikan Library - north to Mt. Wilson and the San Gabriel Mountains, and south overlooking Caltech athletic facilities. South Pasadena, California: South Pasadena Middle School, 2.6 mi. 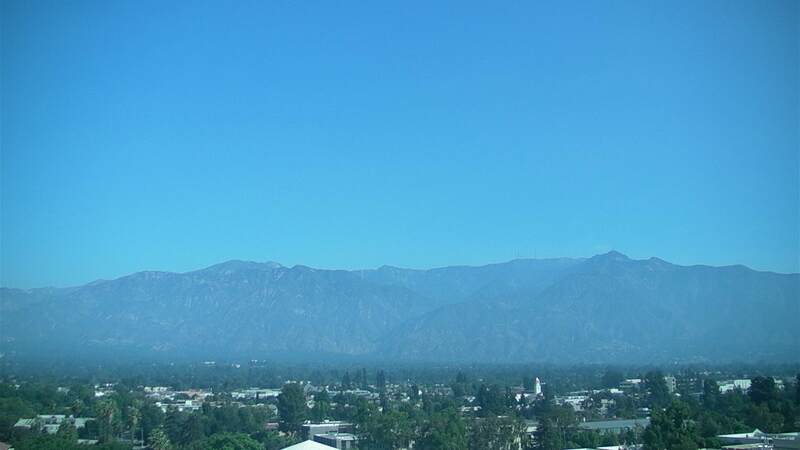 Altadena, California: Altadena WeatherCam, 3.5 mi. Mount Wilson, California: Towercam, 6.9 mi. El Monte, California: Maxson Elementary School, 8.5 mi. La Crescenta, California: San Gabriel Mountains, 9.2 mi. La Crescenta-Montrose, California: View over La Crescenta-Montrose, 11.1 mi. Burbank, California: Bob Hope Airport (BUR), 13.4 mi. Los Angeles, California: LAX Webcam, 21.1 mi. 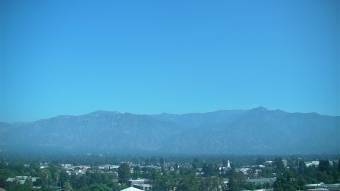 This webcam Pasadena, California with the theme City Views was added on February 16, 2012 and is operated by California Institute of Technology. It got 6777 visitors since then. Shouldn't this webcam work or should the link be wrong please report that here. You can add this webcam here to myCams.